In this article, you will learn about Media element and how to use it. Media element can make your page more attractive, and consequently increase conversion rate. 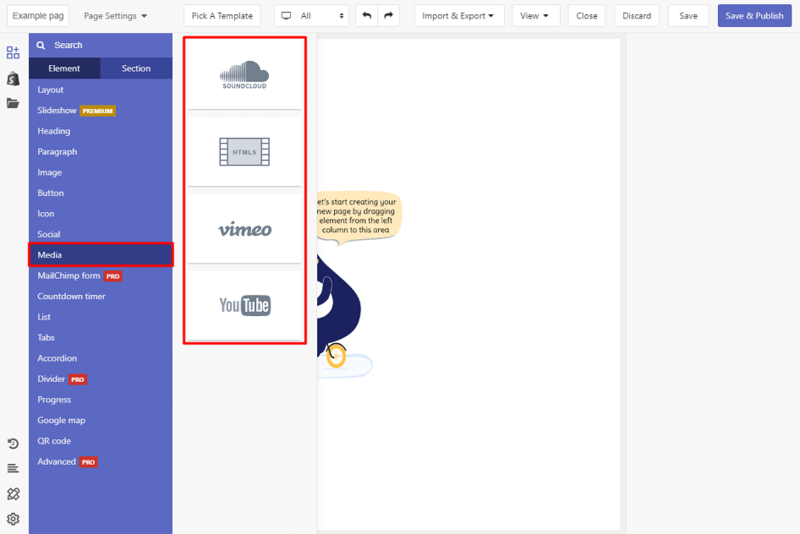 This element lets you add many types of media to your page, such as Soundcloud, HTML5, Vimeo and Youtube. 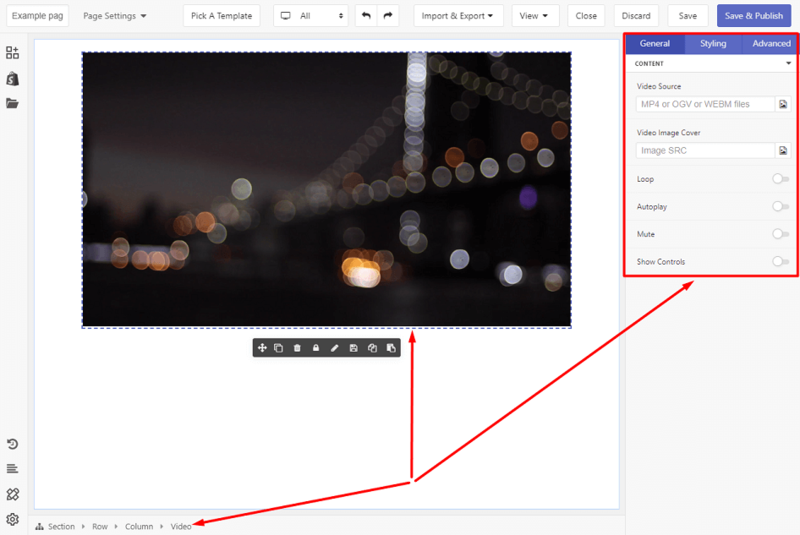 As a result, our team will soon add more types of media so you can enjoy better options for your page content. Media element includes Soundcloud, HTML5, Vimeo and Youtube, which allow you to spice up the content. Using them smartly, your page will grow better traffic and a higher conversion rate. To start, drag the SoundCloud to the layout and select it to see its variables. The variables in General tab are specific for this element. However, those in Styling and Advanced tabs are common for all elements. Read about them here. First, drag the HTML5 to the layout and select it to see its variables. Video Source Add the video source, just keep in mind the file size must be less than 2MB. Supported video format: mp4, ogv and webm. 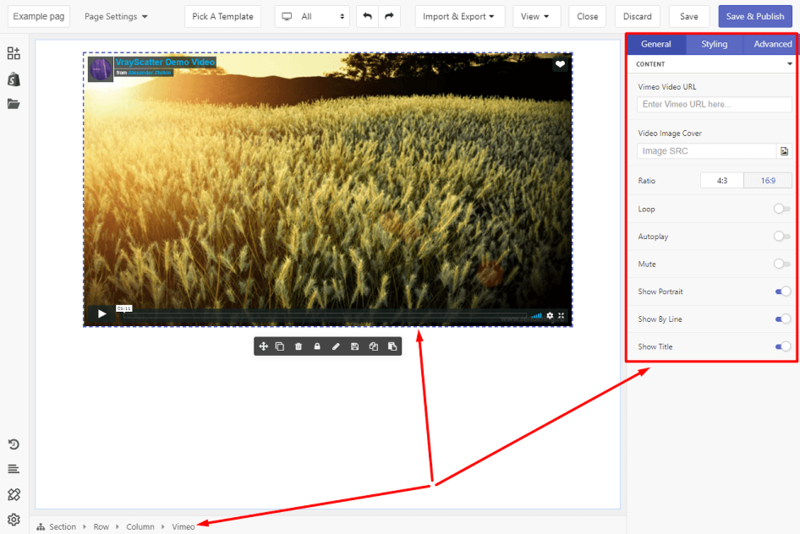 Let’s see what the Vimeo element offers in its variables. 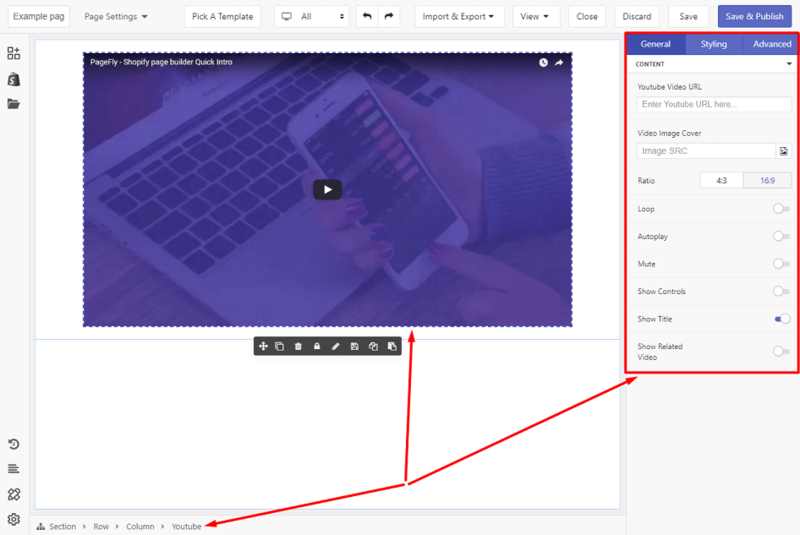 Let’s drag the Youtube element to the layout and explore its variables. First, do not use the HTML5 element and “Youtube embedded” code. If you do that, the video won’t be responsive on mobile/tablet devices. As a result, the embedded code has a fixed width and it will break the responsive layout. Second, the autoplay feature works only when the Mute option is also enabled due to Youtube new API policy about autoplay. Plus, the Autoplay feature doesn’t work on tablet/mobile devices because of their default operating systems.